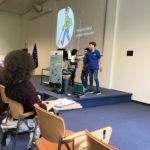 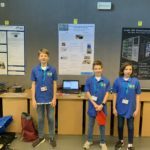 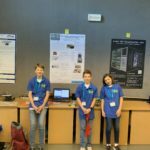 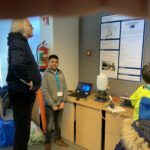 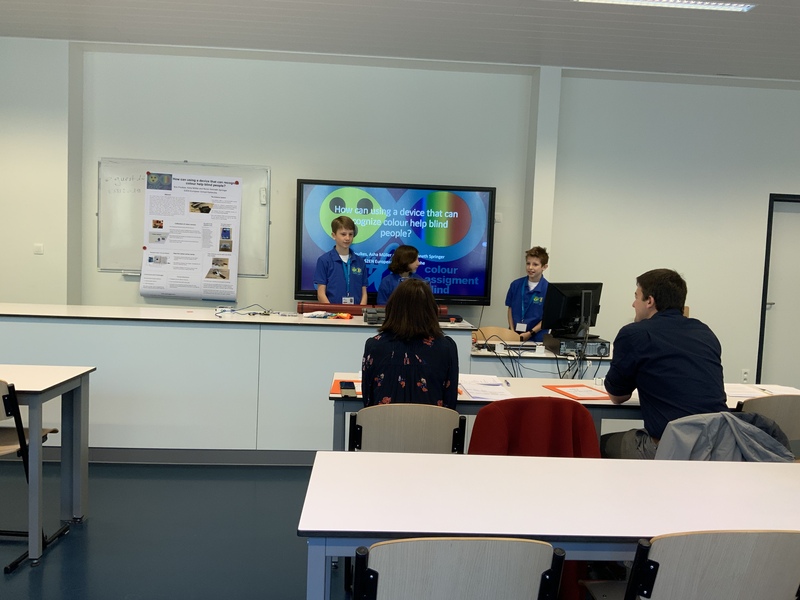 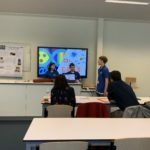 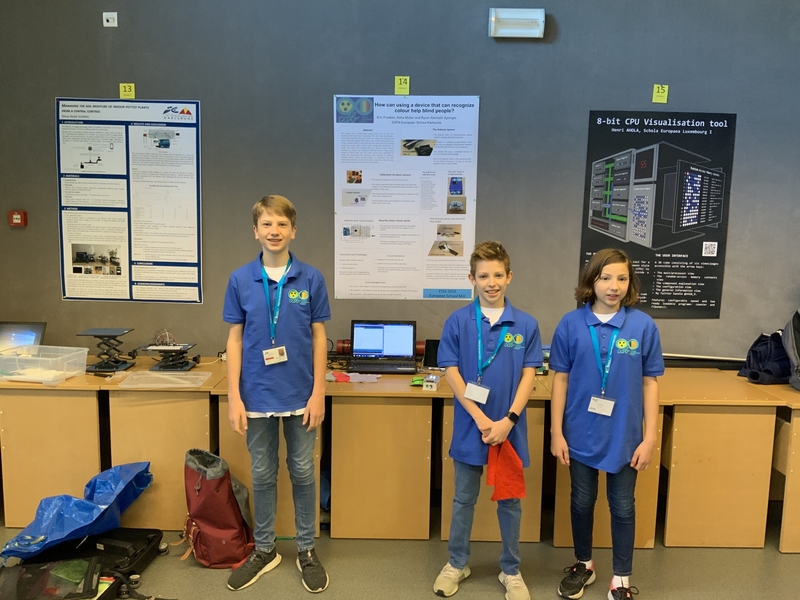 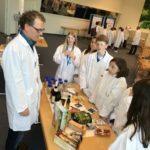 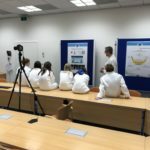 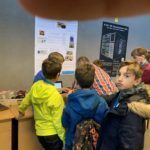 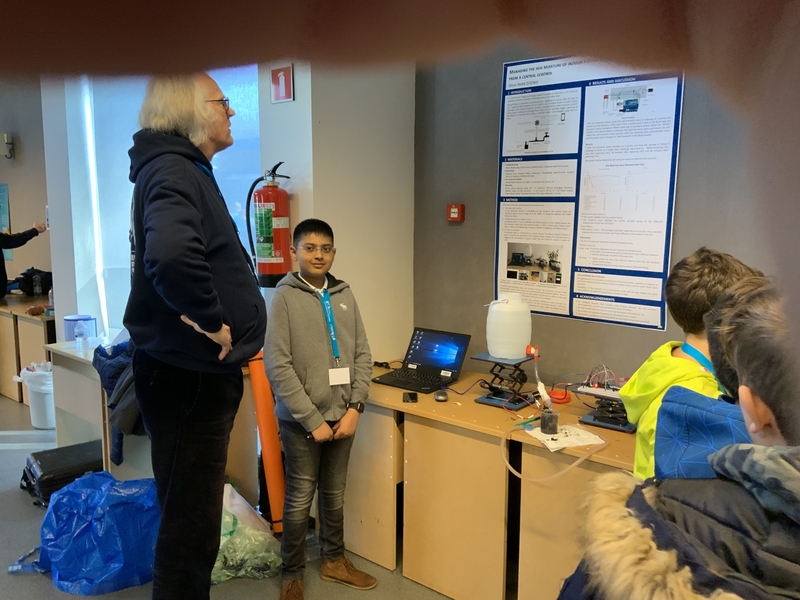 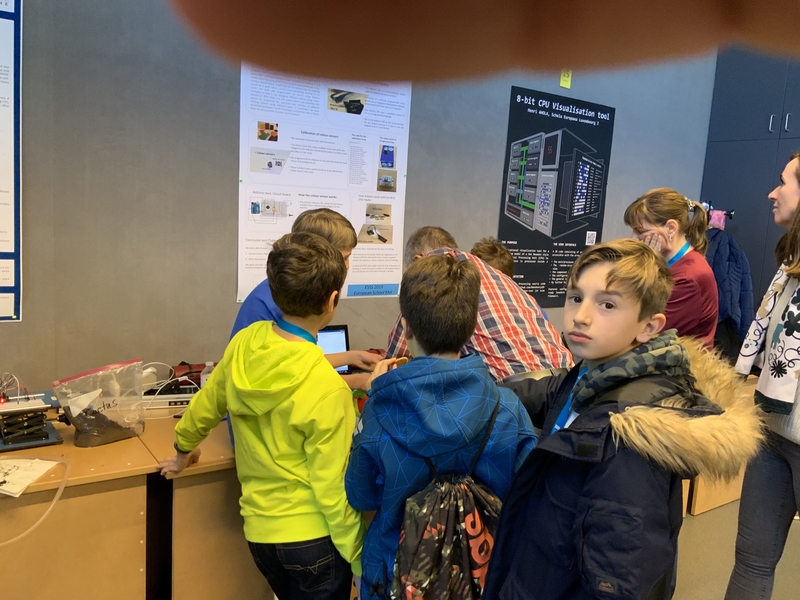 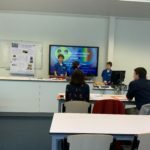 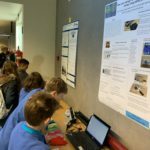 Four S2 students from the European School Karlsruhe successfully presented their own research projects during the European School Science Symposium (ESSS) at the European School in Mol (Belgium) in two groups this year. 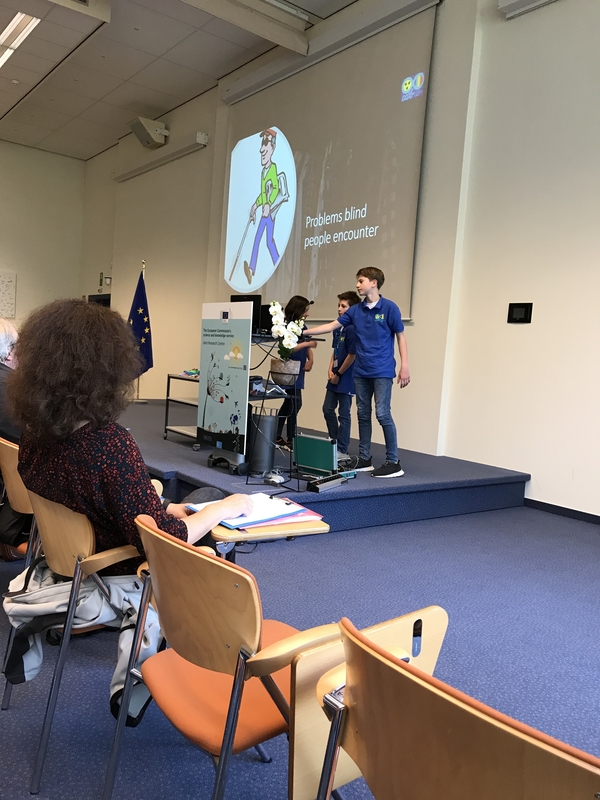 Dhruv Reddi presented his study “Managing the moisture content in indoor plants from a central control” and showed how an automated irrigation of indoor plants can be efficiently carried out. 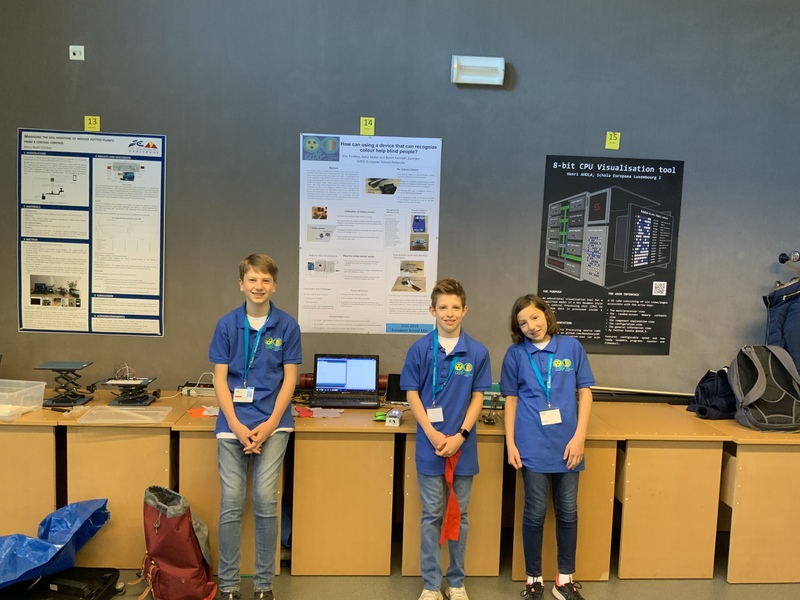 Asha Müller, Byron Springer and Eric Foulkes reached the 4th place out of 37 Junior projects with their project developing a color recognition apparatus for blind people to identify the color of garments: “How can blind people be helped by using a device that can recognize colors”. 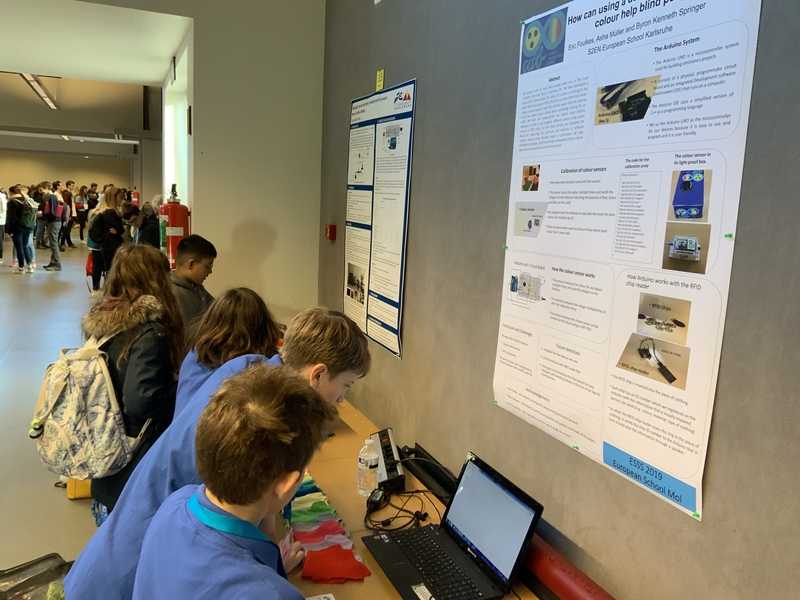 Over the last six months, the students had prepared intensively their projects under the supervision of P. Beaufils, N. Franke and S. Chabanis-Davidson, producing a research written report as well a poster and an oral presentation in front of the jury. 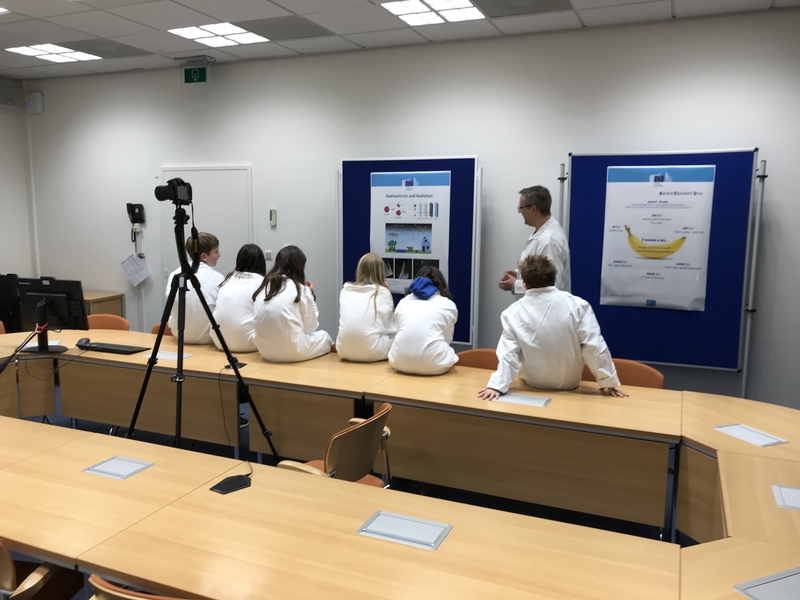 In addition to the presentation of their research, the students also visited the JRC in Mol. 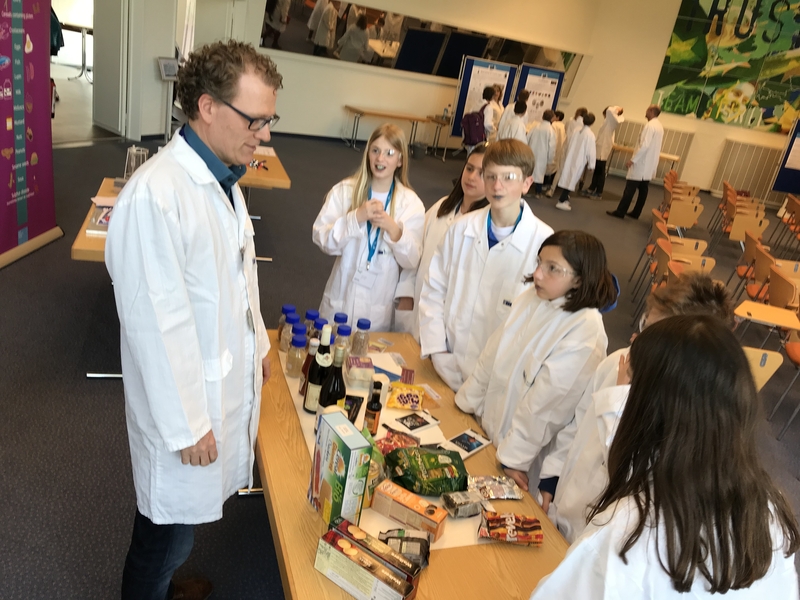 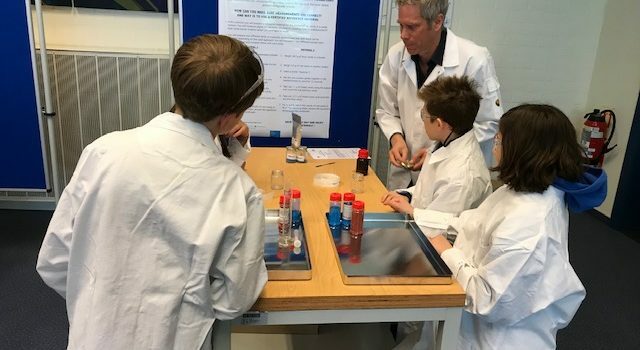 During this visit, the participants carried out exciting experiments under the expert guidance of the scientists of the JRC and learned “playfully” to deal with materials. 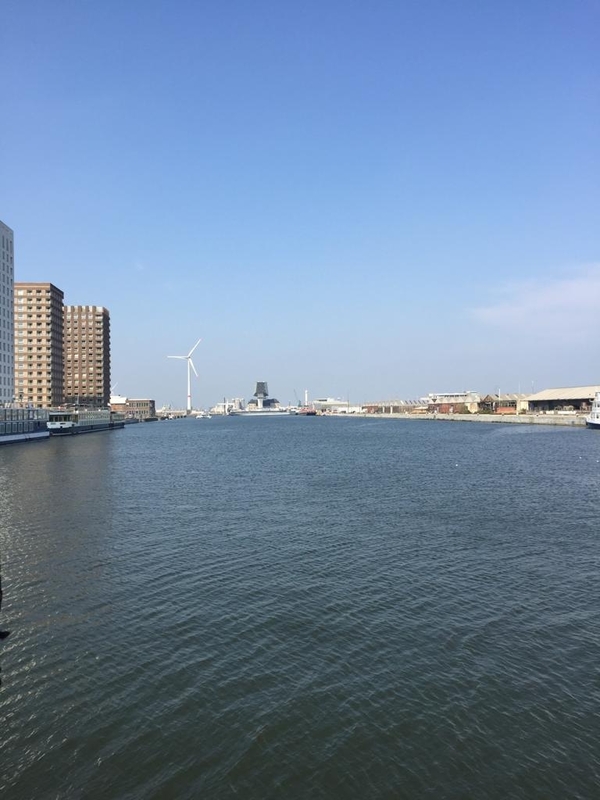 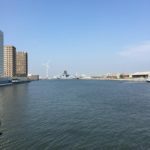 A boat trip round the Antwerp harbor was also part of the program. 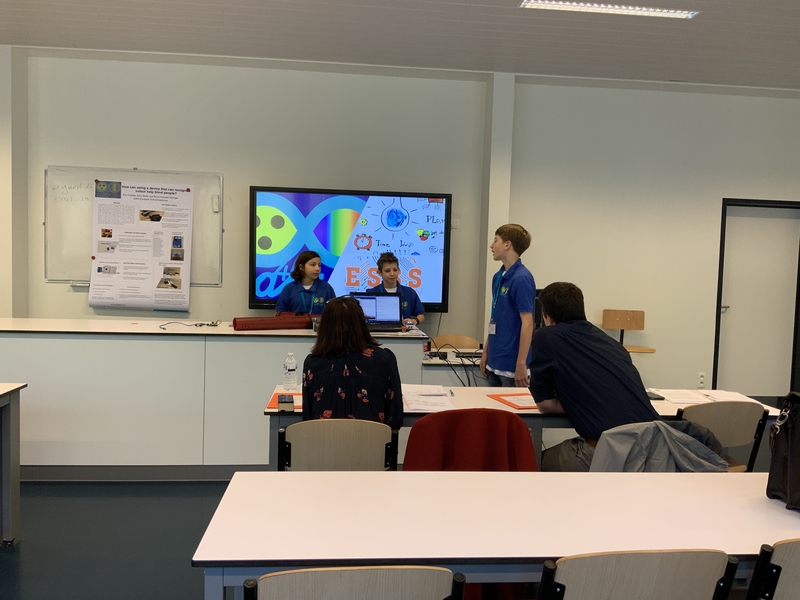 Finally, after the awards and closing ceremony, S. Chabanis-Davidson, F. Brécourt and N. Franke took over the baton for organizing the next ESSS 2020 at the European School Karlsruhe.